In 1865, with $100 in his pocket, John B. Stetson rented a small room, bought the tools he needed and $10 worth of fur; and the John B. Stetson Hat Company was born. A year later the "Hat of the West" or the now famous "Boss of the Plains" hat was born and the name Stetson was on its way to becoming the mark of quality, durability, innovation and beauty. John B. Stetson experienced trying times in his life, but he relied on the one thing he did exceptionally well, making hats. He was trained by his father, a master hatter, and applied his skills and knowledge to a trade, not held in high regard. A hatter was seen as unreliable, lazy, or aloof, only looking to make his money and go have fun. John B. Stetson changed all that and built one of America's most well-known and successful businesses. The longevity and history of the John B. Stetson Company is based on innovation and quality. 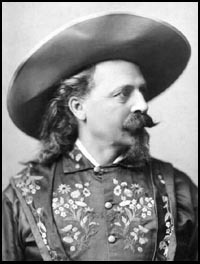 John B. Stetson led the hat industry throughout his career, creating new styles, hats that possessed fashion and function. He believed in quality, and for the past 130 years, the name Stetson and quality are synonymous. Today the Stetson hat factory in St. Joseph, Missouri is one of the largest in the country, and produces a line of hats in hundreds of various styles and colors. In spite of their size, however; classic styling and premium quality remain as the driving force behind each and every hat. As a result, Stetson hats are the most well known hats in the world. Wherever and whenever hats are discussed, Stetson will be recognized with distinction. Stetson is the standard in hats, the essence of the spirit of the West and an icon of everyday American lifestyle. Because of its authentic American heritage, Stetson remains a vivid part of history and, for the same reason, will continue to excel in the future. Stetson, it's not just a hat, it's The hat.